CT The stumps and roots of coniferous trees contain extractives which can be processed into highly valuable products. In his doctoral dissertation on chemistry at the University of Helsinki, Harri Latva-Mäenpää studies methods which could be used to harvest these precious molecules from biomass. 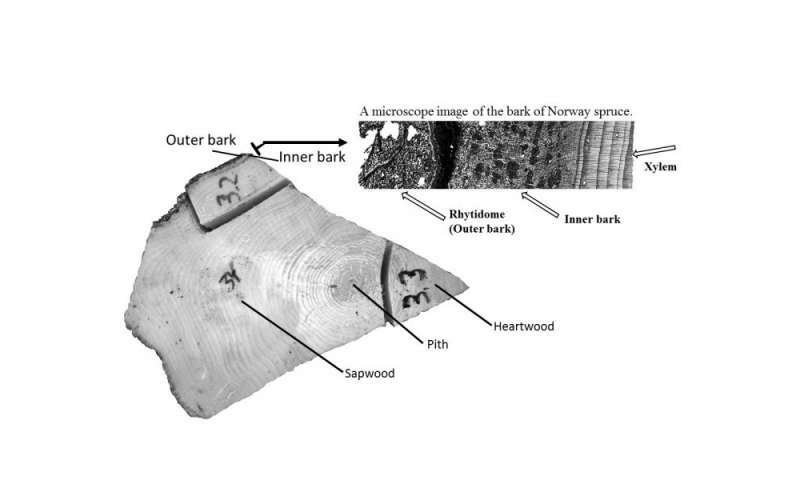 The dissertation indicates that the bark of the Norway spruce, particularly the large roots close to the trunk, contain considerable amounts of bioactive compounds. The stumps of Scots pines were also found to contain similar compounds. The most well-known and the most studied stilbene compound is resveratrol, which has also been proposed as one of the active components in red wine and lingonberries. Such compounds could be used in products promoting health and wellbeing, such as medication, nutritional supplements and cosmetics. The stilbenes isolated from wood could protect cells from the excessive oxidisation which leads to the destruction of cells. "From a health perspective, oxidative stress in the cells causes different types of damage in the body, for example, skin ageing or various infections, contributing to illnesses such as arthritis and Alzheimer's," says Harri Latva-Mäenpää. 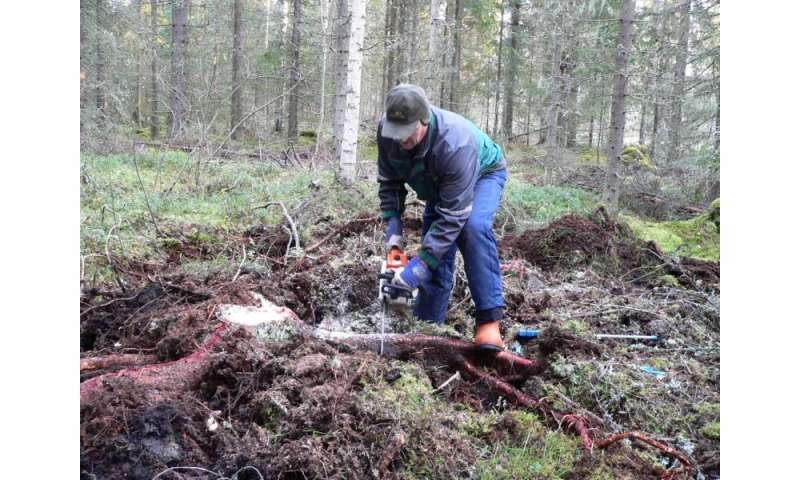 According to the dissertation, the root neck between the roots and the stump of a Norway spruce is a particularly rich source for polyphenolic lignans, such as hydroxymatairesinol, which is already used in various health-promoting nutritional supplements. In addition to their antioxidant properties, these compounds have been found to have antimicrobial effects, which means that they could be used as protective substances in wood or other construction materials. The research also examined the behaviour of stilbene molecules extracted from biomass in various conditions, and found that they changed under UV light. The properties of these new, altered molecules pose interesting topics for future research. Current harvesting methods are already collecting stumps, but they are typically sent to be burned for energy. 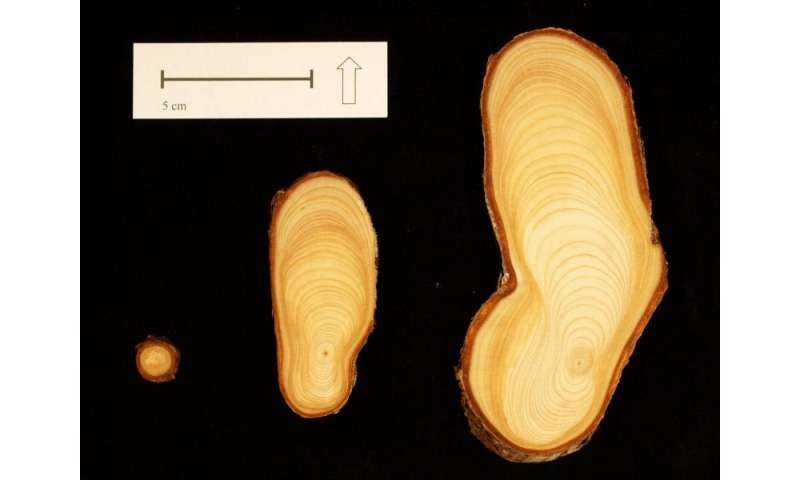 The research indicates that in addition to cellulose, wood biomass and its by-products, such as stumps and bark, could be used to produce new compounds known as extractives, which have been found to have interesting properties. The next steps will be further biomass research, product development and commercialisation. Product development will have to consider the legislation relating to the biomass used as raw material as well as the end products. In addition to the commercialisation potential, this work provides new information on the protective mechanisms of wood extractives from a perspective of plant physiology. The dissertation was completed in a joint project of the University of Helsinki and Natural Resources Institute Finland intended to generate new information for the development of bioproducts.